Great website design can enhance your online visibility and can open for you the door of opportunities so having the up to date design of your website is quite essential these days. 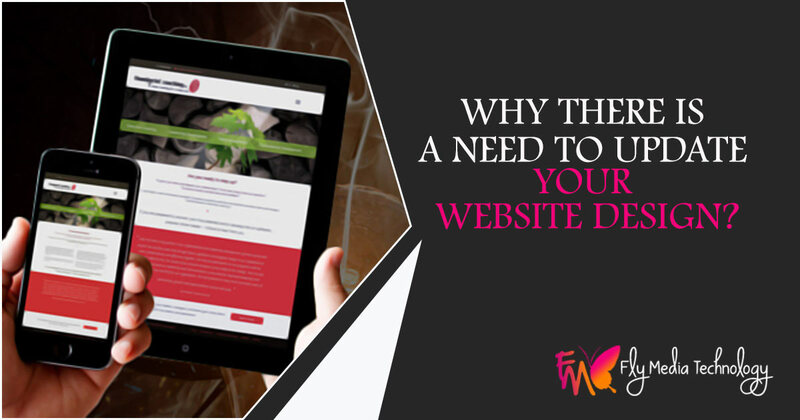 Your website design could communicate your values, professionalism and even your business to the online traffic so it should be impressive enough to fetch the attention of visitors. You must seek for the updated design for your website if your website or not compatible for mobile usage means it is not mobile friendly. Most of the online users like to access the apps and websites from their smart mobiles rather than using laptops or computers so your website design should be responsive even when it is being accessed on mobile. If your website design will not be mobile friendly then it will not only put a negative impression on the minds of users but also reduce your Google ranking. If you have created the website but you are not getting any outcome from it means you are not getting any response then you must redesign your website as the design of your website should be responsive and attractive enough that it could fetch the online traffic and could give you the expected results. These days’ social media is the biggest source to get business and profit by incorporating the social media with your website. If your website design is not made compatible to get linked with social media apps then it should be redesigned so that through social media you couple promote your business. Great website design should be user-friendly but it should also be programmed in a such a way that it could be controlled from your side also means if you want to update anything in your website then you could. As a content management system should be there that allows you to update your website as per your changing requirements and preferences for promoting your business.